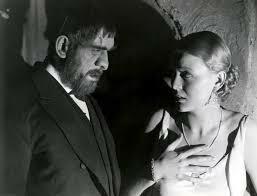 The Old Dark House was originally released in 1932, is based on the novel Benighted by J.B. Priestley (An Inspector calls) and directed by the magnificent James Whale (Frankenstein, The Invisible Man). It is presented by Eureka in a new 4K restoration and will be released on Dual Format DVD and Blu-ray as part of the Masters of Cinema series #187 on 21st May 2018. 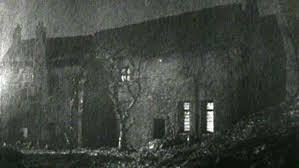 It is a brutal, stormy night in the Welsh mountains and Philip (Raymond Massey – East of Eden) and Margaret (Gloria Stuart – The Invisible Man, The Three Musketeers) are lost. 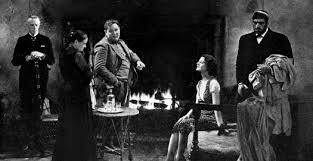 The car is leaking and their tempers are not improved by the other passenger, Penderel (Melvyn Douglas – Ghost Story, Ninotchka) who insists on singing derogatory songs at the top of his lungs. When the roads around them begin to collapse due to landslides and the floods start, they have the great fortune, or so they believe, of finding a house in the darkness. They are greeted at the door by the somewhat intimidating Morgan (Boris Karloff – The Mask of Fu Manchu, The Bride of Frankenstein), who reluctantly admits them. After a shaky start, they seem to discover their hospitable side and the unexpected guests are offered a gin and a meal of roast beef, potatoes “Have a potato” and pickled onions, before the arrival of another couple seeking shelter from the storm. With Sir William Porterhouse (Charles Laughton – Mutiny on the Bounty) and Gladys (Lilian Bond – China Seas, The Westerner) now joining the party, they will all begin to find out just how strange the Femm family really are. 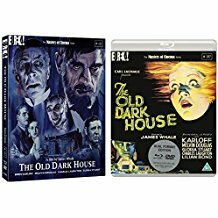 The Old Dark House is one of the best examples of this style of horror, plenty of jumps and sinister characters lurking in corners and more than enough gallows humour to keep you chuckling all the way through. This is an excellent restoration of a fantastic film and it’s a great opportunity to see this classic on the big screen!